For over ten years the idea of cycling across Australia has been on my mind. While excited by the challenge, the idea was always too crazy, I was too busy or the task seemed just far too huge so it would go dormant again. The idea however was persistent and never went far for long. Then about 18 months ago I thought, it’s now or never. Things seemed to start aligning. I now live in Perth so setting out from the west coast and heading east to where my family live in Sydney made sense. So, on 7 August this year that’s what I plan to do, push my Surly Crosscheck out the door and, all things going to plan, arrive in Sydney seven weeks later – a total of 4,230 km on a pushie. 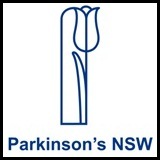 The main driver that has kept the idea alive is wanting to do it to raise money for research and awareness of Parkinson’s Disease (PD). My Dad has had PD for over 20 years so it’s a cause very close to my heart. Dad never asks for much but every so often he says he would like just 20 minutes without Parkinson’s. Not a big ask but at the moment it’s something no-one can give him because despite excellent research and medicine, there is currently no cure. So with me on a bike and your support, we can hope to give Dad and others with PD more than just 20 minutes. I believe a cure will be found. And I ask you to help make this happen. So, follow the ride, spread the word, find out about Parkinson’s and donate if you can. Every bit counts no matter how big or small. Thanks for all your support and see you on the road!